Apple Pay - a tipping point in retail? Apple, once again, dominated technology news last month with its latest product announcement. With the speculation before each announcement, and the analysis afterwards, Apple ensures that each new product and development is announced to the world over a period of days. No stranger to setting the standard, this time Apple has sent out a challenge to the payments industry. Apple Pay is well-placed to succeed, perhaps uniquely so. Its launch combines new technologies, a strong and loyal customer base and has attracted merchants, all required components in driving the success of a new payments vehicle. This sector, already undergoing massive change as internet and mobile payments take hold and new providers enter the market, will be revolutionised if Apple's mobile wallet grabs the public's attention. Security concerns have been one of the key barriers to early mobile payment technology adoption, with recent research from Fujitsu showing that more than half of IT leaders believe that security is a significant barrier to deploying a successful mobile banking strategy. Apple wants its smartphone to also be a wallet, and has anticipated privacy and security fears and tried to ensure that its solution addresses each; each time a payment is made a one-off payment number and security code is generated and no card details are stored. The 'Find My iPhone' app means that payments can be blocked on a lost device. Apple's decision to go for NFC – a technology that up until now has struggled to clearly stamp its mark on the payments industry - is a bold one. While Apple's choice is undoubtedly a boost for the NFC solution, its deployment of other technologies will be equally helpful to other sectors. 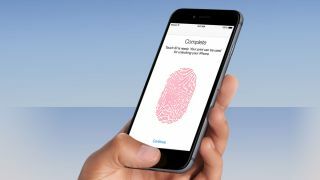 For example, the iPhone 6, with its thumb-print scanner, is launched shortly after Barclays has announced that it will deploy finger-scanners for business and personal customers alike. Such developments will act as a catalyst for other biometric solutions, thereby raising the profile and appeal of such solutions as customers seek ways of ensuring the security of transactions. Of course, part of the appeal to merchants will be the aggressive pricing that Apple is reportedly offering. The Financial Times has reported that Apple will charge just 15 cents on every $100 transaction, significantly lower than the established levels of interchange fee charged by banks and card providers. Those financial institutions which have elected to join the Apple solution are, presumably, expecting to make up the difference by attracting transactions that were previously made by other payment mechanisms, while anticipating that the move helps ensure that their own product remain relevant in a world that is increasingly moving to digital. It's easy to speculate on what the future may hold for mobile payments, but one thing is certain; Apple Pay offers the potential to redefine the payments industry. It'll be fascinating to see if it fulfils its potential.